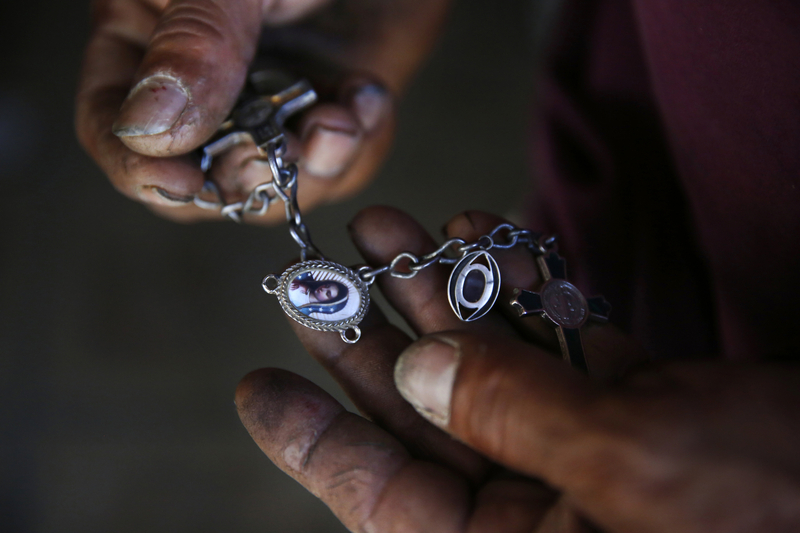 Mena examines a keychain he carries around with him featuring the Virgin Mary and crosses as he tries to avoid the sweltering heat by staying inside his home. His calloused hands bear scars accumulated from years of hard field work and carpentry. Mena used to have steady farm work, starting with water melons, cantaloupes, grapes, tomatoes and pomegranate. The last few years he worked in pistachios and almonds and it was five years ago that he last had steady work as an employee. Since then, he says, it has been harder to find work.